Each December, Apple provides its employees with a special holiday gift to thank them for their contributions to the company and to celebrate the holiday season. Employees have begun receiving their 2015 holiday gift from Apple, which consists of a set of black and red urBeats earphones from the Beats by Dr. Dre product lineup. Employees were not able to pick a color for their gifted earphones, but the packaging does have special wording: "Thank You 2015." Apple's black and red urBeats headphones have a retail value of $99.95 and are being distributed to all of its employees around the world. Last year, Apple employees received a custom Apple-branded Incase backpack, and in the years before that, employees have been gifted things like blankets, water bottles, hoodies, free apps, discounted iTunes gift cards, and more. Amazing earphones and I would be very happy right now if I was an Apple employee. It's no wonder why so many people dream about working for this company. Tim Cook is doing an incredible job right now. Hi Tim, great to see you checking out the forums. People complaining about free gifts they're not even receiving. Good ol' MR members. 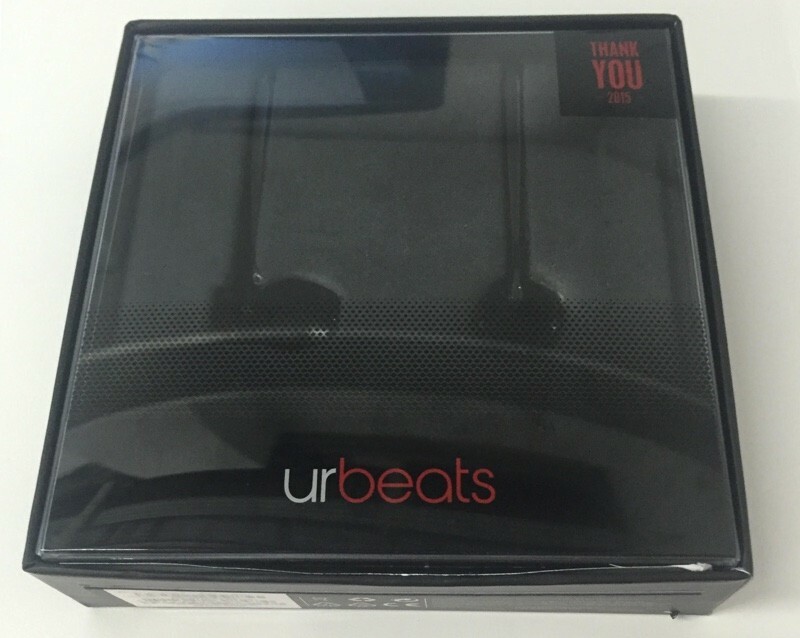 urbeats is still better than "urgettingnothing" which is what my company gives everyone for the holidays. well it's better than no gift at all...I guess. Hey where I work (Fortune 20 company) employees get nothing for the holidays. Last year, Apple employees received a custom Apple-branded Incase backpack ('https://www.macrumors.com/2014/12/15/apple-incase-backpacks-employee-gifts/'), and in the years before that, employees have been gifted things like blankets, water bottles, hoodies, free apps, discounted iTunes gift cards, and more. Before people attack this. Please note that Apple has 115,000 employees as if Mid 2015. That's an $11,500,000 in company gift value. Ask yourself if the company you work for doers this or has something of the same value based on quantity.